With eternal sunshine, cheap living costs and a thriving expat scene, why not consider Thailand as a place to relocate, retire or buy a holiday home? It’s closer than you might think. With Brexit, we are being encouraged to see the UK as a global nation as well as a European one – so why not look further afield for retirement or relocation? Thailand offers unparalleled natural beauty, a fascinating culture, exotic beaches and a low cost of living, from the bustling concrete jungle of Bangkok to the idyllic beaches in Krabi. With a well-trodden and thriving expat scene, fast internet and a world-class healthcare system, Thailand has been drawing the international community for decades. There are around 50,000 British residents already there; could you join them? Whether you are looking for an international transfer to Bangkok, are aiming to work beachside with a laptop in Phuket, or want to retire somewhere where your pension will go further like Chiang Mai, Thailand is worth considering. Expect to pay just £4 for a good quality restaurant meal. Outside of the tourist and business areas that might only cost £1. Thailand is extremely affordable, with items like food a fraction of the price of in the UK. You’ll find you can live on a much lower salary than in the UK and still afford plenty of additional luxuries. Those working for multinational corporations based in Bangkok will enjoy high salaries even compared to Western standards. Flights from London take around 12 hours and cost from £400. Thailand has some of the best food in the world, yet even in the business districts of Bangkok you can expect to pay just £4 for a good quality restaurant meal including a drink. Outside of the tourist and business areas that might only cost £1. Shopping at grocery stores and markets is even more affordable but with the quality and cost of dining out, you need only cook for yourself if you want to. To rent a two-bedroom flat in an expensive area in Thailand is around £900 a month, but half of that in a normal area. The cost for internet per month is about £14, while utilities for one month is around £75. Koh nang yuan. Could you live here? 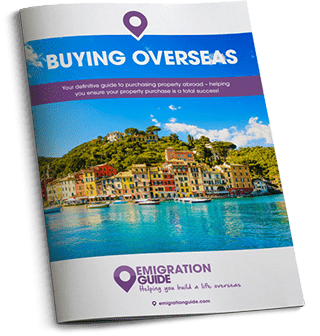 Due to restrictions on foreign property ownership, most expats begin by renting instead of buying. Buying freehold property in Thailand is a slightly complicated process, requiring you to buy as a company, but it is far from impossible. Most non-residents buy condominium projects that allow a percentage of foreign ownership. The process of renting property in Thailand is easy, and rental agents are quite in-tune with expat property needs. Whether deciding to find a property themselves or work with a real estate agent in Thailand, expats should have few problems finding a suitable home to rent. The internet and newspapers are often good sources to find rentals if opting to search independently without a real estate agent. If using a real estate agent, the service is usually free for tenants. The agent will negotiate on behalf of the tenant and advise throughout the rental process. Lease agreements are typically less formal than in Western countries, with processes surrounding things such as deposits and rental contracts flexible. Many expats move to Thailand on internal company transfers that are arranged prior to arrival in the country. These workers tend to live and work in Bangkok and receive strong salaries, even compared to what they’re used to in the UK. There are also work opportunities available in the tourism and hospitality industry, although remember the restaurant prices? Don’t expect high wages. Many entrepreneurial expats will find success starting their own businesses. There are many location-independent workers, “digital nomads” working remotely online, and there are also opportunities to teach English. Other industries that support the Thai economy are exports, agriculture, manufacturing, logistics and communications. Expats working for a company will want to negotiate their salary in their home currency or US dollar. If you’re making the move, you should speak to a currency and payments specialist early in the process. We recommend Smart, ranked highest on Trustpilot for money transfer. Thailand has a top-notch medical system with hospitals and doctors, in the cities at least, being of a high calibre with many English-speaking staff. Many expats will opt for the private healthcare system over the public one. The private system has many internationally trained doctors and the price of treatments and procedures, though of a world-class standard, is a fraction of the cost in Europe. Those looking to educate their children in Thailand will normally send their children to a private or international school, of which there are plenty. The cost of private and international schools varies, as does the quality, so researching schools in advance should be a top priority. If you are committing yourself to life in Thailand, however, why not investigate the state system? We would think it odd if Thai people living in the UK refused to countenance attending our schools! Despite recent political unrest, Thailand is considered a safe place to live and travel, and personal attacks and crimes are much less frequent than in other developed nations. Thai people are as a whole happy and law-abiding people. Tourists and naïve new arrivals will always be a target for petty scams, but you will soon become streetwise in the tourist areas of Bangkok and Chiang Mai. 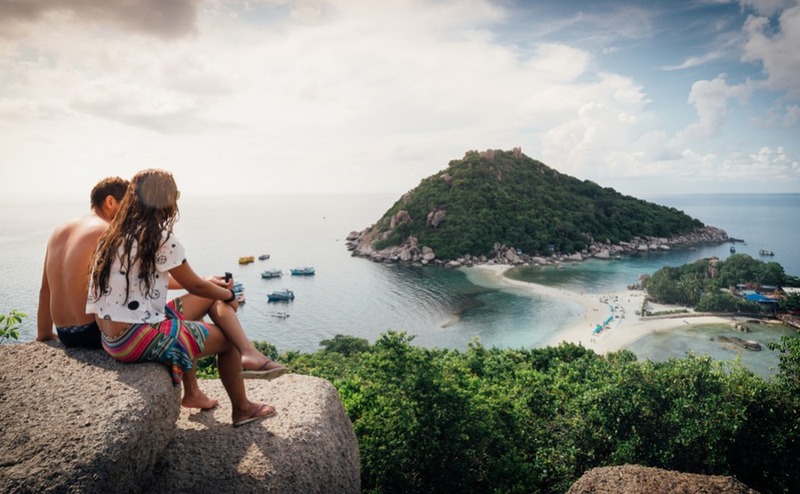 Join the 50,000 other UK expats living and working in Thailand and spend some time living in one of the most idyllic and magical countries in the world.